border town: beyond ramps [curitiba, brazil] | Abler. How does a bold, military-appointed, possibly technocratic architect-turned-mayor create a model universal-access transportation system, cheaply and effectively, and use it—along with other initiatives—to turn around the environmental prospects of the entire town? a 10-week, multi-participant collaborative design studio that investigates the conditions that surround life in cities situated on borders, divided by borders, or located in conflict zones. By investigating these strange specimens of political geography, we can begin to think and design about the interaction of legal and physical architecture and how these forces shape the built environment and the lives of the people living in it. The borders that you’ll see featured in their finished projects will cover a wide range of boundary studies—literal and conceptual. I’m now working in a school that trains a lot of architects, so I’ve been thinking about the aspiration of “universal design” and the tricky accessibility hurdles that cities come up against in urban planning. It’s taken some serious criticism, for instance, to get Moscow to start tackling its accessibility problem. And the League of Historical Accessible Cities has been commissioning designers to come up with creative design solutions that both meet the needs of atypical visitors and maintain the historical integrity of cultural sites. Curitiba, Brazil is interesting because it’s become a celebrated accessible city, but that’s mostly because it transcended discussions of ramps, and elevators, and door width—in short, all the code that seems to be treated like an onerous set of constraints to architects and designers. 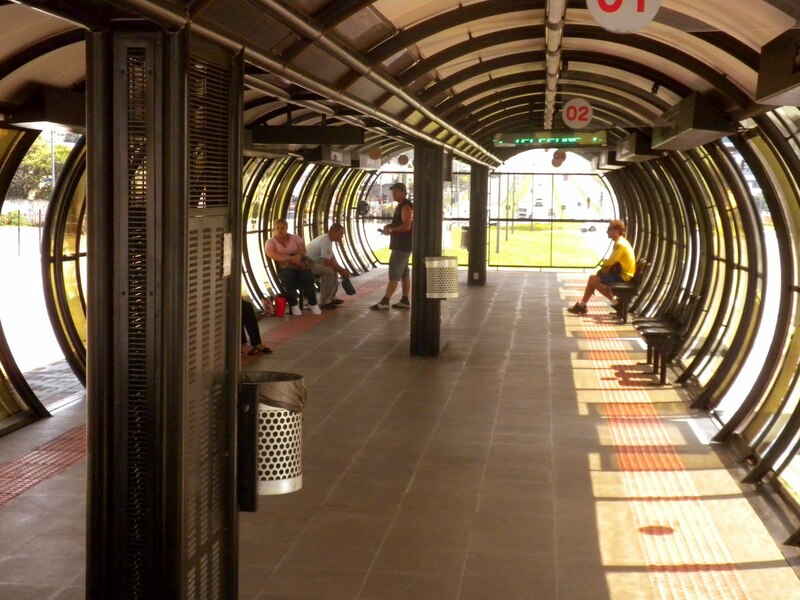 When access for all users, not just transport, became a design problem, a different conversation emerged. 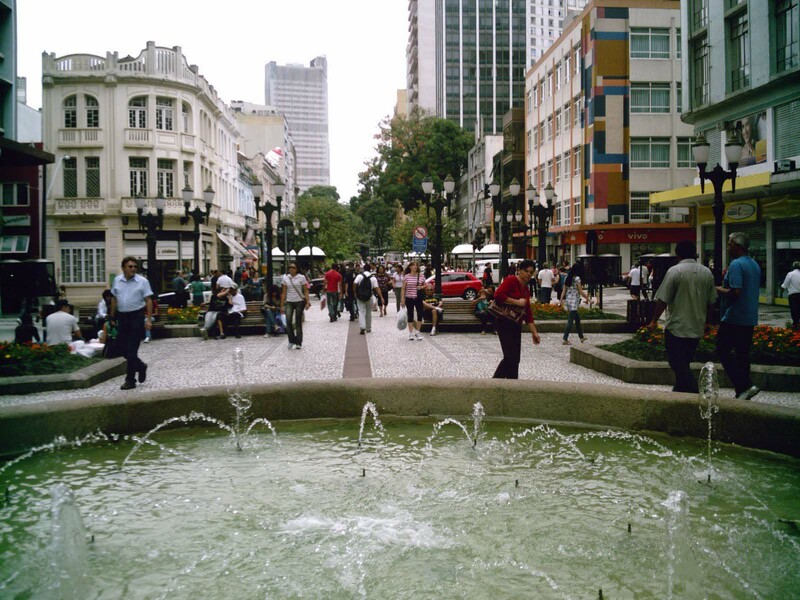 Curitiba is one of those cities whose population exploded in the latter half the twentieth century. It went from 300,000 in 1950 to 2.1 million in 1990, and another million are expected by 2020. At a crucial juncture in Curitiba’s development, in 1971, a young architect named Jaime Lerner was appointed mayor (by dictatorship, at that time), and he quickly went about making controversial, incremental changes in Curitiba that have altered its socio-economic landscape entirely. He’s known for returning a central shopping street to its pedestrian origins in a single weekend, despite massive protests from the merchants there. The Rua das Flores was an immediate and lasting success. But he’s most famous for overhauling its overcrowded, faltering bus system and creating this Rede Integrata de Transporte (RIT), a rapid bus transit system that carries the same number of riders as a large-scale metro system. But instead of building a gigantic metro—which he couldn’t afford to do anyway—Lerner adapted streets and oversaw the design of buses and shelters that took account of human needs as a whole ecology. 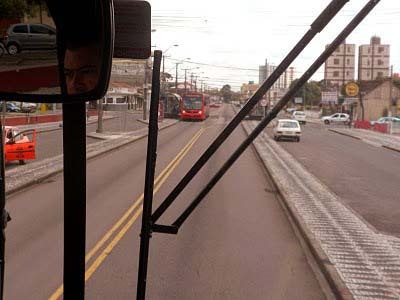 The central two lanes of traffic were reserved expressly for bus use, to make traffic smoother and faster. 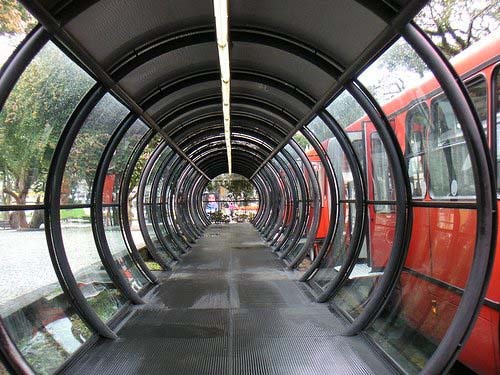 And Lerner oversaw the designs for these “tube stations,” accessible by both stairs and ramps for all users, and placing riders at the same level as the buses’ extra-wide doors. Riders pay in the station, not on the bus, which makes transitions off and on buses quicker for everyone. And the buses themselves are “bi-articulated,” have three compartments each, making their capacity at around 270 passengers apiece. Lerner’s heavy hand in both gaining power and wielding it as an urban planner is a subject for another essay. But now Curitiba is one of the greenest cities on the planet, and its social programs and urban planning successes have created much better economic prospects for its citizens than in neighboring states. 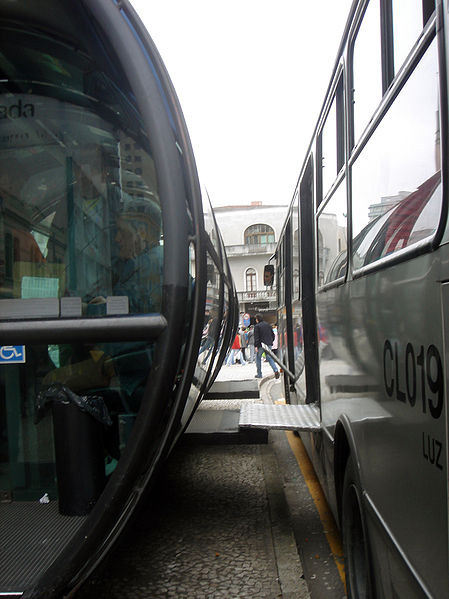 Its transit system has been a model for RBT in BogotÃ¡, Mexico City, Guatemala City, Cleveland, Pittsburgh and LA. Sources, and to read more: Steven A. Moore’s Alternative Routes to the Sustainable City: Austin, Curitiba, and Frankfurt. And (with a pro-market bent) Natural Capitalism: Creating the Next Industrial Revolution. 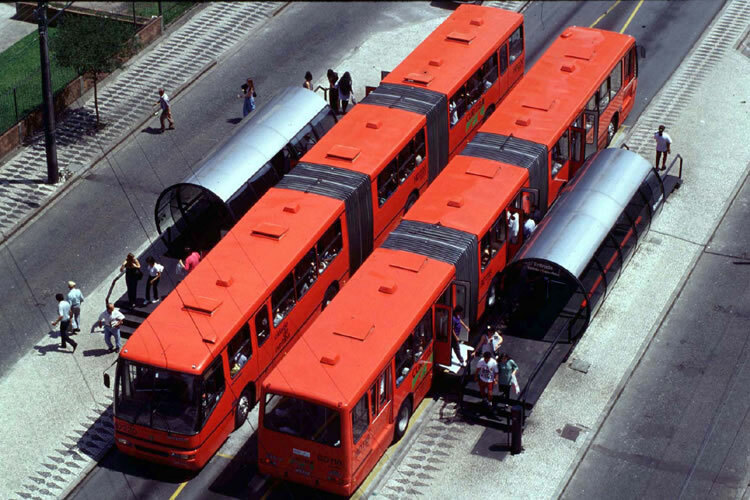 See also Lerner (Spatial Agency), Rapid Bus Transit, bi-articulated buses, Curitiba.